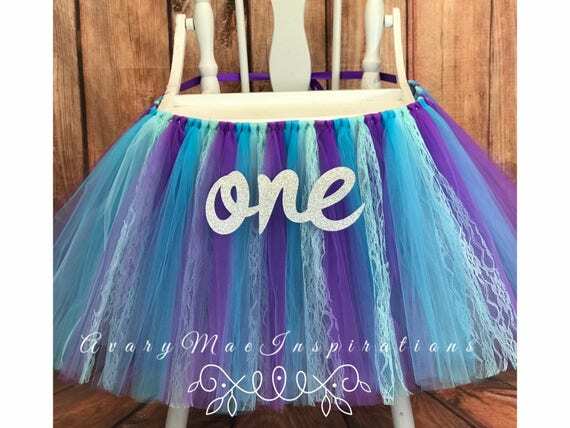 Colors: Purple, Turquoise, Aqua Tulle and Mint lace. Foam roses are soft and so pretty. Gold "one" is 4" Tall and has Velcro dots on the back that attach directly to the Tulle. Available in Silver also.